Clipboard is a very essential tool in Android. 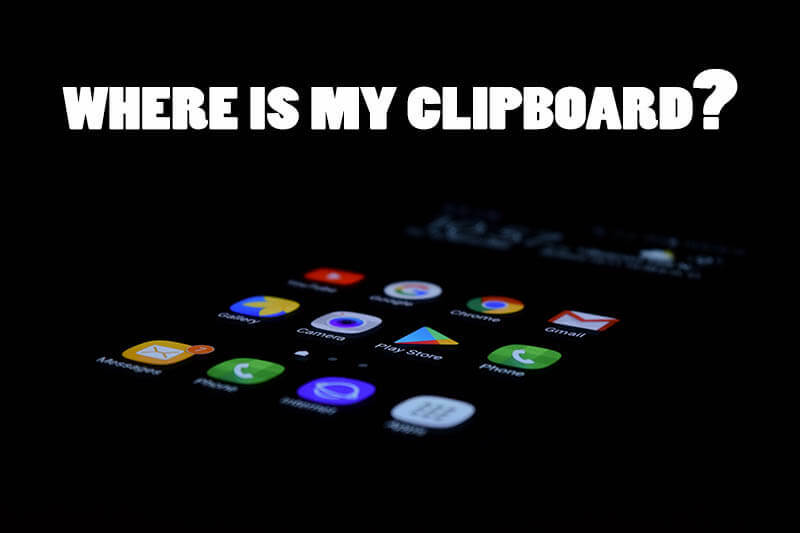 In this post, we are going to go in detail about the Clipboard folder in android and see if we can actually find a folder where all our stuff is saved. So let’s begin with the basics. So, what is clipboard and what does it do? A Clipboard is a special folder or a tool which helps us to retain the information when we copy it from one source to the another. We use this tool on a daily basis. I can’t even imagine if there was no such tool then what would happen. Most of us use the Clipboard tool daily to copy and paste information from the internet to our own word documents. Also, we copy different type of files like music, photos, videos or movies from our computer to our sd card or any other device. This all is done with the help of a Clipboard which retains the files which we have copied on a temporary basis. So, now the question comes, can we access any folder named Clipboard where we can get all the things we have copied till now? The answer lies in the words ‘on a temporary basis’ i.e. the files are stored in the clipboard on a temporary basis and that too one a time. Although you can select multiple files at once but only the files which are selected or copied recently will be present in the clipboard. Also, as Clipboard is a temporary space in your memory it wipes out if your phone restarts or maybe when you switch it off. Some smartphones tend to retain them for longer periods it all depends on your phone. So, you can only access the latest files which were copied/ selected. Here are the simple steps to know what is inside your clipboard right now or is it empty. Open any text editing app in your smartphone like MS word or Google Keep/Docs. Now, long press the cursor on the screen. Click on ‘Paste’ and if you will be having any kind of text in your clipboard then it will be copied there. If you think you have any kind of file in your clipboard then you can do the same thing in your file explorer. Just go to any folder and click paste. While Clipboard is present in every Android by default you can also use some third-party clipboard apps which give you extra functionalities. Here are some of the recommended ones which are available on the Google Play Store. There are many other Clipboard managers available on the Google Play store which you can download and use. These clipboard function just like the normal clipboard in android but they can retain much larger information and for a longer period of time because they occupy a dedicated space/memory in your storage for this task. If you are the one who needs their clipboard feeds regularly and want to save them in a proper folder then go ahead and install one of these clipboard applications. This will surely make your life easy.